Rachel Morello is an education reporter for StateImpact Indiana, WFIU and WTIU News. She came to Bloomington after graduating from Northwestern University, where she studied multimedia journalism and political science. No matter what city she’s covering, you’re sure to find her sporting a Packers jersey and tuning into “Wait, Wait…Don’t Tell Me!” You can follow her on Twitter @morellomedia. ISTEP+ scores from the 2014-15 school year have finally been released – but the picture they paint is not pretty for Indiana schools. Many expected scores to be on the lower end, since 2015 marked the first year Indiana tested the new set of academic standards adopted following Gov. Mike Pence‘s decision to exit the Common Core. Last year, scores went up for both English/Language Arts and Math portions of the statewide assessment overall: 80.7 percent of students passed the ELA test, and 83.5 percent passed math. The number of students who passed both tests had also increased from the year prior, with 74.7 percent passing in 2014. This year, scores decreased sharply on all portions of the test. Statewide, only 67.3 percent of students in grades three through eight passed the ELA section, and the pass rate for Math sat at 61 percent. Just 53.5 percent of students passed both sections. You can also click here to search our easily-sortable table. Indiana’s Department of Education says 2015 scores are not comparable to previous years’ pass rates because of all the changes to the state’s standards and related tests. Instead, the IDOE says these new scores show for the first time the percentage of students meeting the new college and career ready benchmarks at each grade level. In response to the numbers, state Superintendent Glenda Ritz reiterated the call for reforms to Indiana’s testing system. In a statement, she thanked students, teachers and administrators for their work during what she called a “challenging” school year of testing delays and technological issues, and said she thinks it’s time for Indiana to move away from the ISTEP+ once and for all. 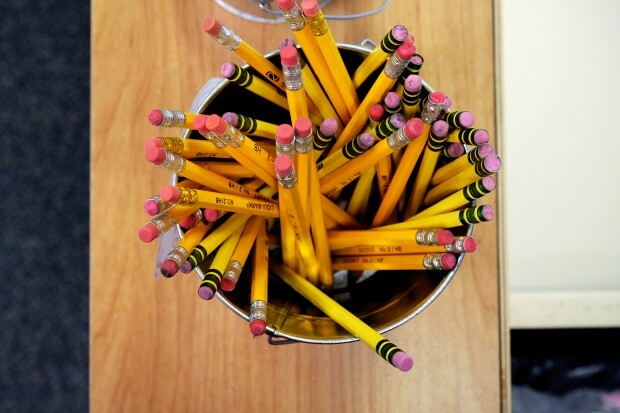 The need to eliminate ISTEP+ is something other legislators have called for, too. At a legislative conference last month, House Speaker Brian Bosma (R-Indianapolis) said the legislature will reattempt conversations about using an ‘off the shelf’ test – a dialogue spearheaded last session by Sen. Luke Kenley (R-Noblesville). Sen. Earline Rogers (D-Gary) announced Tuesday that she will not seek re-election, ending a 34-year legislative career. 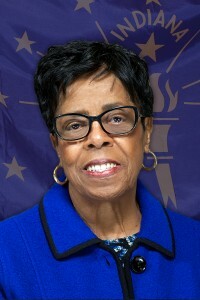 Rogers has served in the Senate since 1990 representing Indiana’s third district, which includes portions of Gary, Merrillville, Hobart, Crown Point, Lake Station and New Chicago. Prior to that, she represented the district in the House for eight years. Rogers is also a Gary native, and has been a longtime advocate for her district’s school system – a system she worked in as a teacher for 38 years. Many consider her a champion the Gary Community School Corporation has badly needed. In an interview with StateImpact earlier this year, Rogers said she sees a bright future for a district that, in her opinion, many others write off. State Board of Education member Eddie Melton, who represents Gary on the board and resides in northwest Indiana, told the Northwest Indiana Times in November that he would consider a run for Rogers’ seat, should she decide to retire. He has already filed paperwork to form an exploratory campaign committee. Legislative meetings aside, there’s a lot going on in education right now – some proposed bills even overlap one another. So, to keep things neat and organized we’re compiling an up-to-date, easy-to-read list of the school-related bills we’re following at StateImpact. Keep up with our tracker throughout the legislative session here. 2015 was a busy year for education in Indiana – if you don’t believe us, just look back at our list of everything that happened over the past 12 months. One of this year’s most noteworthy (and controversial) education stories will undoubtedly remain in the headlines into 2016: results and ramifications from the statewide ISTEP+. Following a series of delays due to technical and grading errors this fall, the scores from last spring’s test have yet to be officially released to the public. Remember, ISTEP+ scores typically factor into other things like school A-F accountability grades (we showed you the preliminary data for those earlier this month), teacher evaluations and, in turn, teacher pay – so it’s safe to say Indiana schools look forward to seeing their students’ results in any given year. What makes this particular round so interesting? Many don’t expect scores to be so good – students took a brand-new test this year, one that matched Indiana’s latest set of academic standards, and history shows that typically leads to a drop in scores. And that has led a growing group of state lawmakers to suggest Indiana “hold schools harmless” for this year’s performance. Look for legislation in the early part of the 2016 session to decouple ISTEP+ results from teacher evaluations. State Superintendent Glenda Ritz has said we can expect to see finalized A-F calculations by January 15. Come February, it’s out with the old and in with the new: CTB, the vendor that has experienced so many complications administering Indiana’s ISTEP+ test, will no longer be tasked with that job. The state will instead deal with Pearson, a British testing company. Many are curious to see how the new relationship works out – Pearson has a history of test security issues in other states, although the company has said they’re confident they can avoid problems in the Hoosier state. Meanwhile, the future of the state’s testing system appears to be up for discussion during the legislative session, as well. Just last week, legislators said they’d be open to talking about replacing ISTEP+ with a different, “off-the-shelf” test. Department of Education data exposed in 2015 revealed that Indiana is seeing lower numbers entering its teaching force than in years past. Superintendent Ritz’s Blue Ribbon Commission worked to comb through the data and present legislators with some potential solutions, and lawmakers plan to examine the issue during session this year. 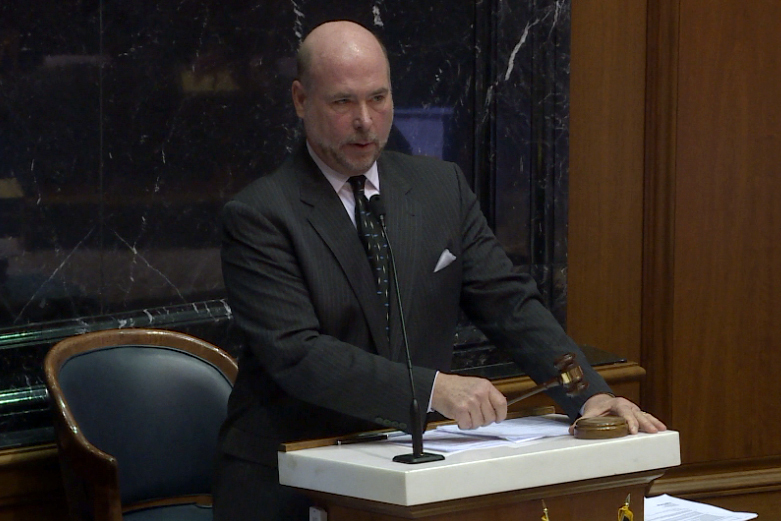 House Speaker Brian Bosma has said teacher recruitment in particular will be the General Assembly‘s second priority this year. Today concludes our series from the halls of the Gary Community School Corporation – a district many agree is in need of repair. Check out our previous stories introducing the city of Gary, GCSC Superintendent Cheryl Pruitt, and the evolving teaching staff. We couldn’t leave Gary without meeting one of the biggest characters around: “Officer Friendly.” Along with the district’s 27 other security crew members, he is working to make students feel safer – and more in control of their own education. One of the biggest challenges in Gary is crime – and unfortunately, it’s a problem that has seeped into the schools. Gary has always had police officers patrolling the halls to help keep students in line – but now they’re trying a different approach. The district’s new security system relies instead on “school resource officers” – policemen like Officer Nate Harris specifically trained to deal with students in the school setting. Harris says this new title reflects a bigger systemic change within the district: giving students the tools to make change in their own right. That’s what the resource program is about – we’re now part of a process of their education. One could argue that’s a sentiment any school administrator would be happy to hear from his or her teachers. 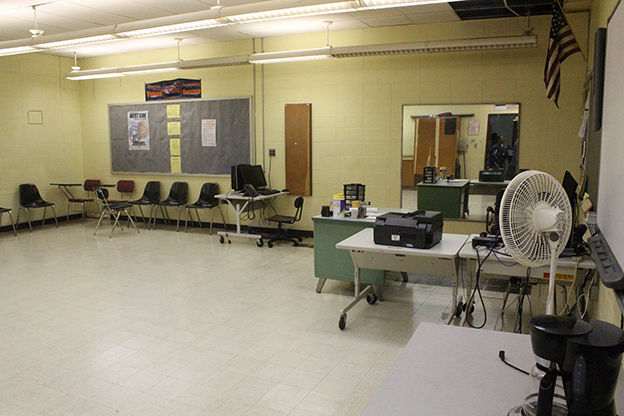 And it’s one the Gary Community School Corporation is emphasizing to help improve its current situation. All this week, we’re bringing you stories from inside the Gary Community School Corporation – a district many agree is in need of repair. Check out our previous stories introducing the city of Gary and some of the major players in the local schools – including GCSC Superintendent Pruitt and her administrative team, who are working to change the perception of the so-called failing district. 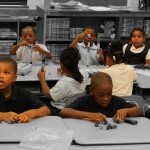 Today, you’ll meet the beating heart of the Gary school system: its teachers. Many colleagues have been here together for years – and now, they’re starting to see some new members join the ranks. While the rest of Indiana struggles with a teacher shortage, we don’t know what that will look like in Gary. One has to wonder: with the way the district and its city have been struggling, how much talent will they actually be able to recruit? For the first time in 20 or 30 years, a big group of Gary’s teachers are moving on, creating openings for new blood. So this year, Superintendent Pruitt and other GCSC administrators are making sure all district teachers – young and old, new and returning – are on the same page. You got to get out of what you think and what you been doing for 40 years and we gotta move over here, or else you need to go home. Getting just that mindset – fixed mindset to a growth mindset, so that people can see us someplace else. All this week, we’re bringing you stories from inside the Gary Community School Corporation – a district many agree is in need of repair. 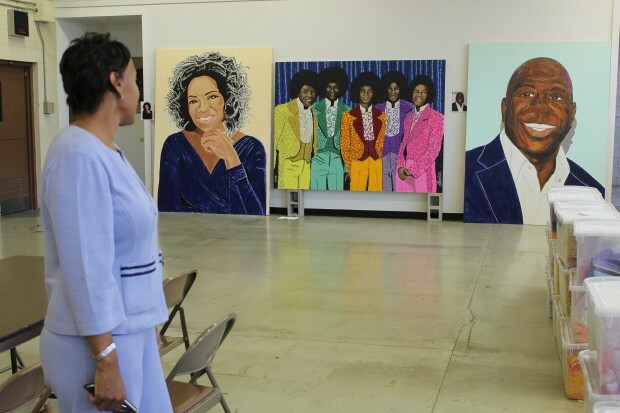 Yesterday, we introduced you to the city of Gary, its history and some of the major players in the local schools. Today, we go on a ride through the district and into the school buildings with a woman many credit for the beginnings of Gary’s turnaround: Superintendent Cheryl Pruitt. Dr. Cheryl Pruitt is a product of the district she now heads. 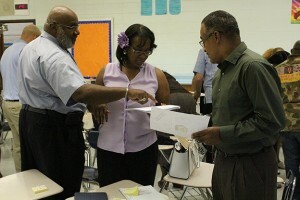 During the course of her career, she has also taught and served as an administrator at several Gary schools. She says she never planned to become superintendent – it’s one of those things that “just kind of happened.” And, she says, it’s home. Despite her love for the city, she’s not in denial about the problems its school district faces. I’m probably not the traditional superintendent, because I have debt, I have funding, I have education – and then I have the negative publicity, the vouchers, the charters, the takeover – it kind of all just goes together in my head. Most likely, the image you have in mind is not a positive one. You might have some preconceived notions – and that might not be your fault. What we hear about the city of Gary usually comes in the form of news reports about crime, dwindling industry, or most recently the failing schools. But the perception of Gary and the reality appear to be in a sort of disconnect: many residents really see the school community as one with a lot of promise – they seem to have faith in what district administration, teachers, parents and students are trying to do. All this week, we’ll bring you stories from inside the Gary Community School Corporation – a district many agree is in need of repair. You’ll get to know the neighborhood and the people fighting to make it a better place. 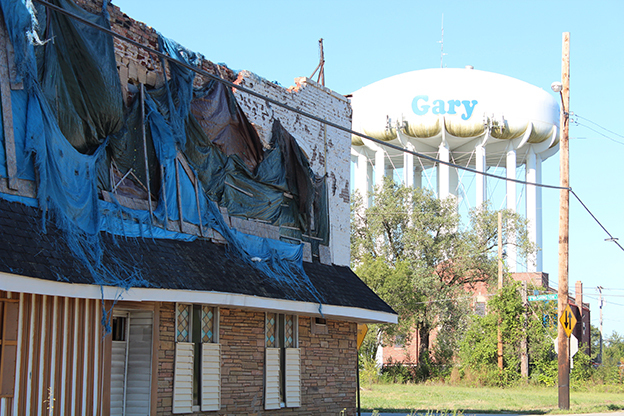 Today, we introduce you to the city of Gary – one many of its residents say is misunderstood. Gary has experienced a host of economic and social issues for quite some time. How do urban leaders plan to fix things? State Senator Earline Rogers says she thinks it all starts with the schools. Schools mirror the community. So we’re working on making changes as a community, and as the community gets better then hopefully the schools get better. An analysis conducted through the Indiana Department of Education found that the student ISTEP+ scores were not negatively impacted by the scoring process completed by the state’s test vendor, CTB. This comes after anonymous allegations surfaced in an Indianapolis Star story earlier this month regarding CTB’s scoring processes. A handful of sources claiming to be CTB supervisors recounted “a computer malfunction that inadvertently changed grades” on the annual statewide test. They told the Star that company leaders decided to leave the potentially incorrect scores in place. State Superintendent Glenda Ritz says she’s pleased the state can move forward. “Unfortunately, due to the high-stakes nature of the ISTEP+ assessment, any doubt about testing validity causes a ripple effect through our schools and our communities,” Ritz said in a statement. 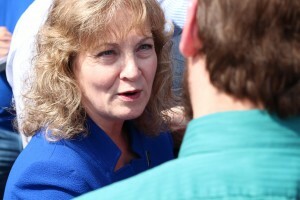 Ritz also reiterated her opinion that this year’s scores should not be used in evaluating Indiana teachers and schools. Several members of the General Assembly – as well as Gov. Mike Pence – have said they plan to work on a solution at the outset of the legislative session in January to “decouple” ISTEP+ results from teacher evaluations for one year.